Two weeks ago, the Cook Islands took a step towards becoming the first in the world to mine deep-sea nodules, with six representatives from OML visiting the islands of Aitutaki and Rarotonga to explore the viability of harvesting nodules. CINews shared the story last Wednesday and have been inundated with comments since. Most of those who commented had concerns regarding the environmental impacts that deep-sea mining may have in the Cook Islands. One comment read “…all mining causes destruction”, while another said, “they (OML) will get their riches and leave us with the crumbs, the mess, and no fish for future Cook Islanders”. Yet another commenter said, “our entire ecosystem will be destroyed…no matter how many thousands of miles the seabed mining will be away from us, it will destroy us”. Many people also made mention of the Republic of Nauru, which is a tiny island nation that was once considered to be the wealthiest in the world. Nauru once had rich deposits of phosphate which were mined until there were no more commercially viable deposits left. The Nauru Phosphate Royalties Trust was initially established to ensure the ongoing prosperity of Nauru and its people after phosphate mining had ceased. However, due to mismanagement, the great wealth of the tiny pacific nation was squandered away. 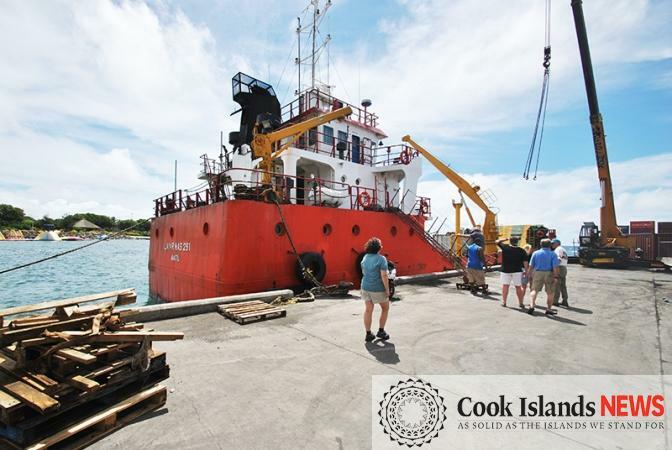 Even though there was strong opposition on social media to the idea of deep-sea mining in the Cook Islands, there were also some who enthusiastically supported it. Said one commentator: “People are being hypothetical about the risk to this exploratory initiative, based on historical experiences that have happened in other mining sites. “If our legislation and regulations are based on New Zealand’s and Norway’s experiences…then there is hope that proper procedures will be followed to minimise risk and environmental impacts…take the right steps to reduce, eliminate, and/or minimise any impact to the environment”. Paul Lynch, who has led the Cook Islands Seabed Minerals Authority since 2012, claims that deep-sea mining will not impact islands, villages, and lifestyles here. He says it could help to diversify the Cook Islands’ small economy. Lynch says that “minerals could help to provide new revenue streams and jobs” and that people “appreciate the Cook Islands steady approach”. “A crucial part of deep-sea mining is sensible exploration and research”. Lynch says that this involves “gathering good baseline deep-sea environmental data and managing it well…facts and data that can help our Cook Islands communities and decision-makers make informed decisions. Lynch says that laws are being drafted now, “decades before revenue is anticipated so if there are no more seabed minerals left in the future, a well-managed national sovereign wealth savings fund” will ensure that the people of the Cook Islands will be cared for. “We need to protect all national revenue from deep-sea mining” he says. One commenter said that they would “welcome the day when we can bring up the first load of nodules from the depths (of the ocean) without negatively impacting our environment and finally start our journey to true financial independence. The focus then will be on managing our wealth”. Another commenter said, “…that’s why the seabed (minerals) authority was established. They have legislation, policies, guidelines, and regulations in place to safeguard the country from any potential risks…I’m sure the seabed (minerals) authority is also mindful of the challenges and risks involved”. There is little known about the deep-sea environment, especially at a depth of 5000 metres, where the Cook Islands nodules are located. Even less is known about the potential environmental impacts of mining those nodules. Some reports state that the impacts of deep-sea exploitation will “last forever” and many others say that environmental risks and impacts of deep sea mining would be “enormous and unavoidable”. According to one report, the effects could include seabed habitat degradation over vast areas, the extinction of species not yet discovered, reduced habitat complexity, and much more. However, these are all just educated guesses. The reality is that no one knows what the impacts will be. Research is ongoing and the exploitation of Cook Islands nodules is “at least eight years away from beginning”, according to OML director David Huber. The potential benefits will have to be considered in-light of the potential environmental effects.